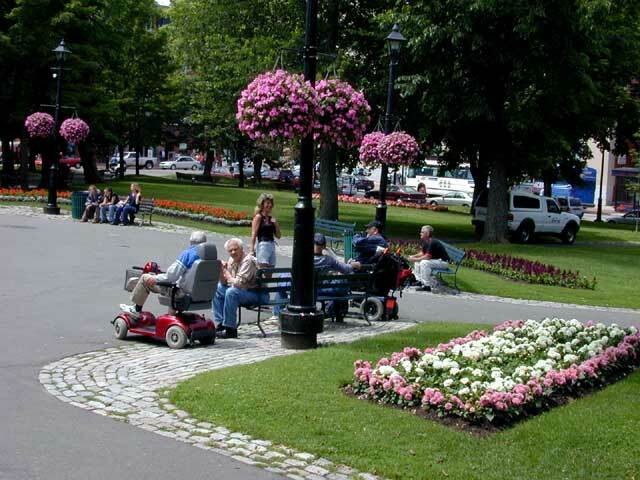 Saint John is one of the oldest cities in Canada. We took a couple of different tours around the city and surrounding area. 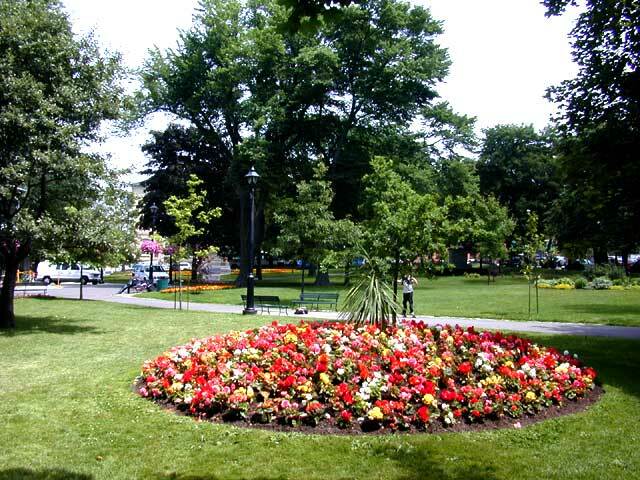 Canada holds a nationwide contest among the cities to see which can come up with the most beautiful use of flowers. Saint John has won four of the last eight contests. They have flowers everywhere. 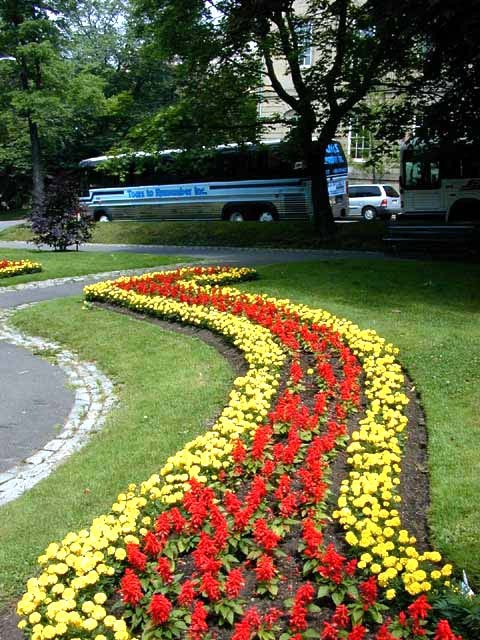 There are medians in the street that are curb to curb flowers. Hanging baskets are everywhere. We also had probably the most unique tour of our lives. We got to tour a funeral home! This was originally built as a private residence in 1898 to 1902. It was owned by only two families and no children were ever in residence. Thirty seven years ago it was sold to a funeral home operator. It was modified a bit but mostly left intact. The rooms are decorated with hand carved oak walls, ceilings and fireplace decorations. 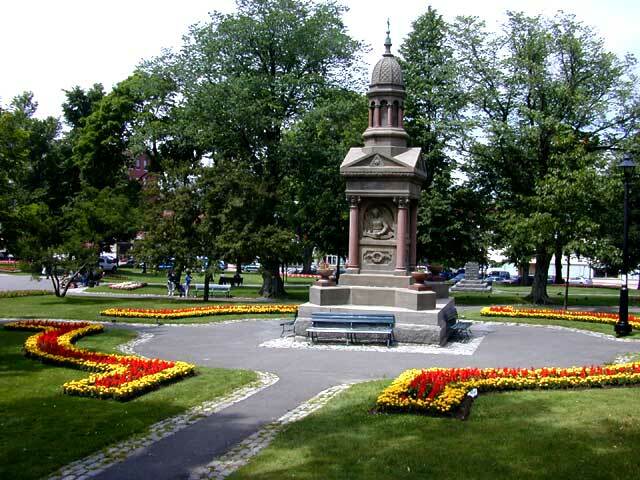 It is absolutely beautiful and in wonderful condition. 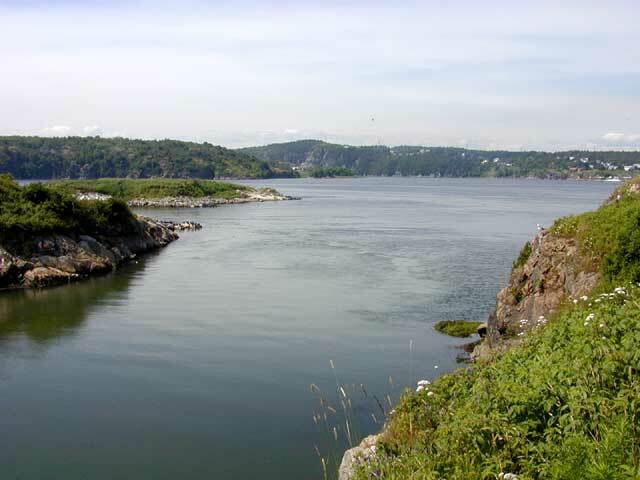 Saint John is on the Bay of Fundy where the tides are the largest in the world, up to 58 feet. The water flow through this bay in a 24 hour period is greater than all the rivers in the world combined. 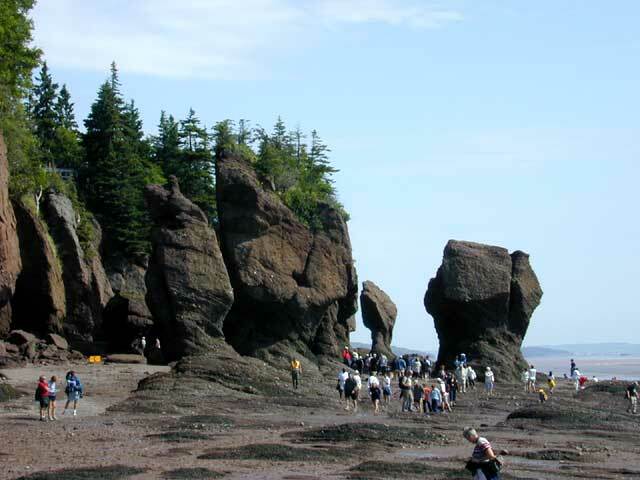 The harbor here experiences tides of 28 feet which are not as large as some other parts of the Bay of Fundy but are sufficient to produce some very interesting effects. 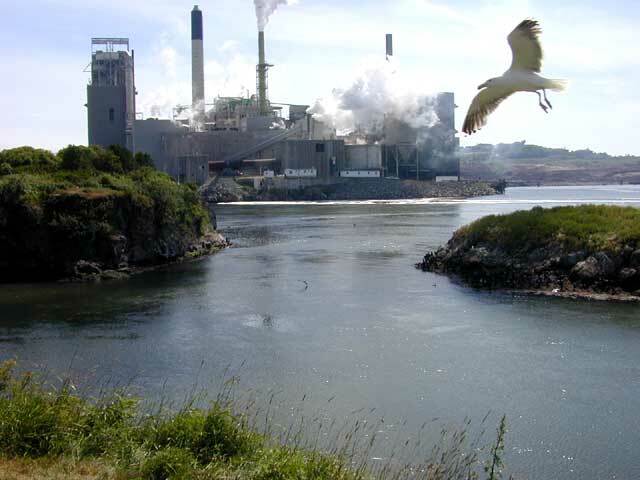 One of these is the Reversing Falls. 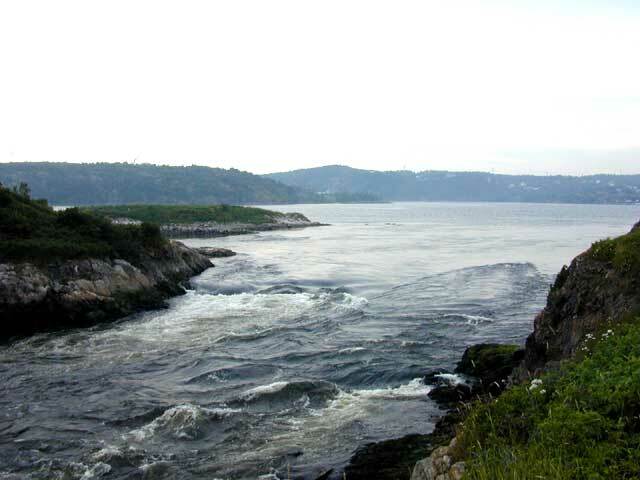 These are not really water falls, as one would expect from the name, but are actually great rapids that are produced where the tides from the ocean meet the St. John river. The meeting place is a very narrow and deep underwater canyon that is up to 200 feet deep. The battle between the river and the ocean is best explained by looking at the tide. 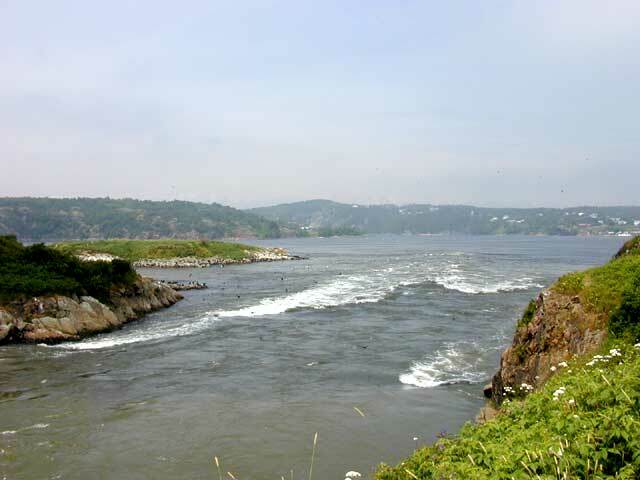 When the tide is at a higher level than the river it is able to overcome the river's flow and push the ocean water up river. 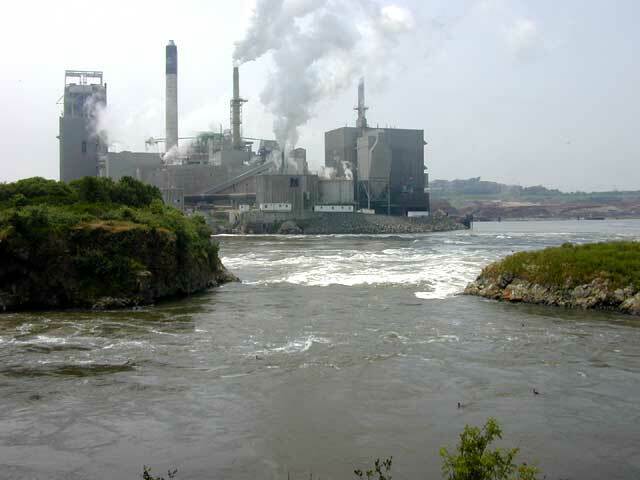 Salty water has been found at least 70 miles up river. When the tide then turns and flows out to sea its level falls below that of the river which produces a very large flow rate towards the sea. When the tide is the same level as the river's water there is a standoff and there is no flow. We were fortunate to be able to see all three of these conditions in the same day and they are shown in the pictures below. The ocean is to the left and the river to the right. 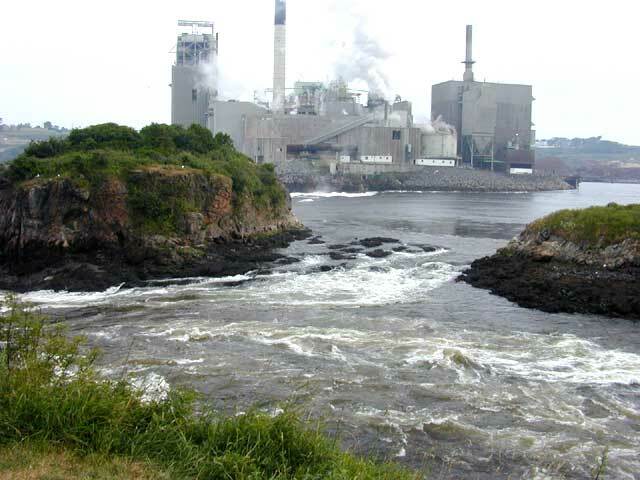 In this set of pictures it is high tide and the water is flowing to the right, up river. These two pictures shows the same locations at slack water when the tide just balances the river's flow with the effect that there is no flow. The third set shows what happens when the tide is low and the river adds its flow to the ebbing tide, producing the largest flows. 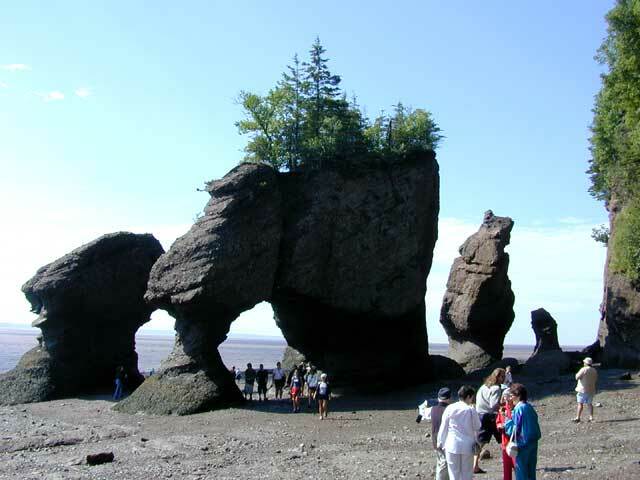 Here is some more of the effects of the huge tides here in New Brunswick. This time, at a place near Hopewell Cape. 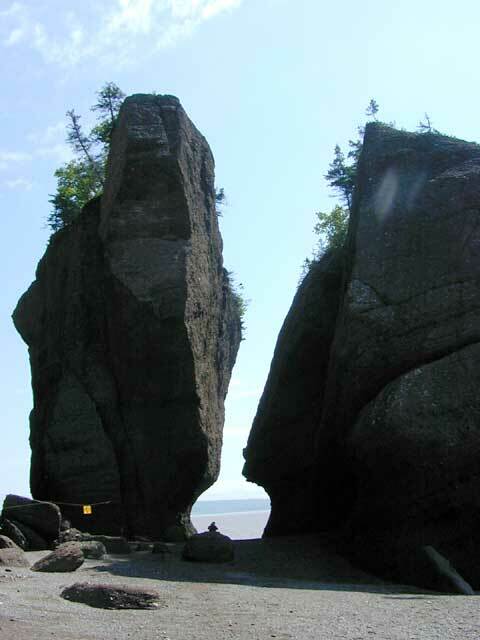 It is the Hopewell Rocks Ocean Tidal Exploration Site. Here the tides are up to 42 feet. You can safely walk on the beach here for a period from three hours before low tide until three hours after. 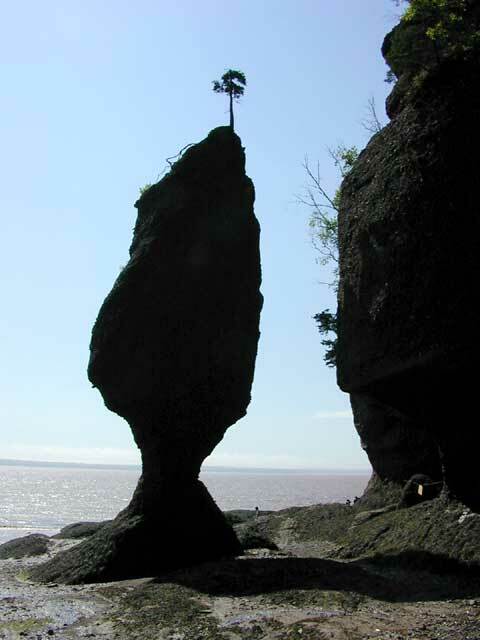 The "Flower Pots" are pillars of sandstone that have been eroded by the tidal action. The photos below show them at low tide, when you can walk on the beach and observe that they are pillars that have been undercut by the tide. During high tide they appear as small islands with balsam fir and dwarf spruce growing on top, much like a flower pot would appear. Just another example of what the tidal forces can do.